Farm labor expenses are concentrated by size, commodity, and geography. Large fruit, vegetable, and greenhouse operations in California and Florida accounted for perhaps a quarter of the total $26 billion in direct hire and contract labor expenses in 2007. California accounted for 28 percent of farm labor expenses in both 2002 and 2007, as much as the next six states combined, and the top ten states accounted for 60 percent. 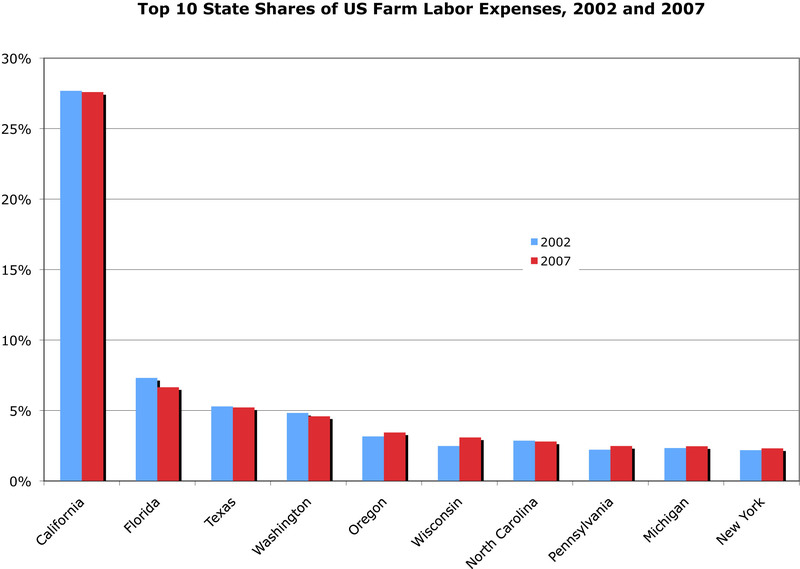 Ten states, concentrated in the northeast and mountains, had farm labor expenses of less than $100 million.